JuNiki's Double Neck Insulated Stainless Steel Flask features an unprecedented, patent-pending design that's ergonomic, sustainable, and ultra-convenient. 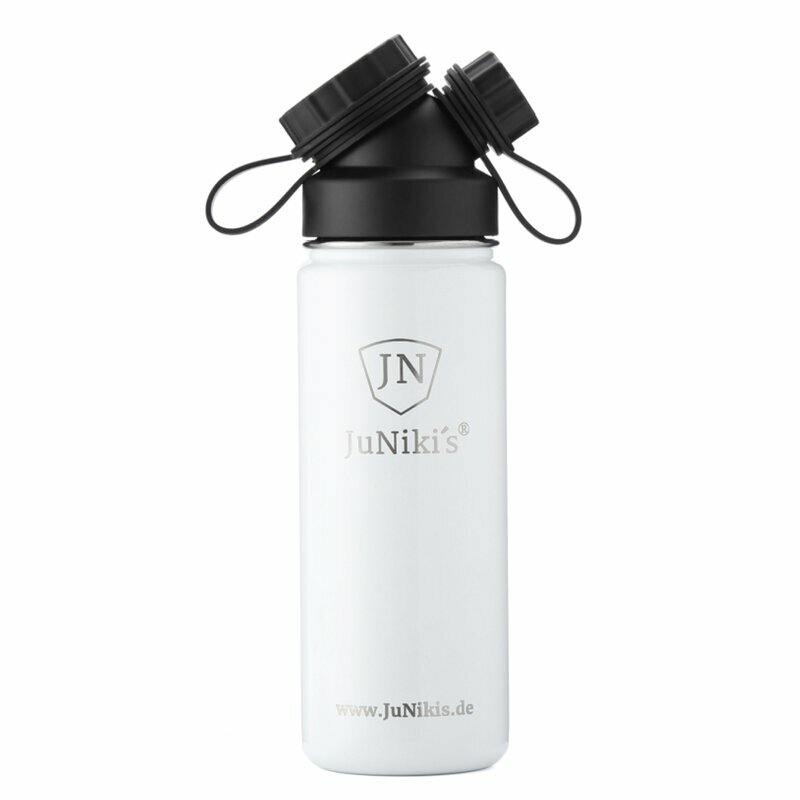 It's 100% leak-proof, even with carbonated drinks, and insulated to keep hot drinks hot and cold drinks cold for hours. The design itself is also carefully arranged to have no blind spots or tiny crevices that can grow mold, making it easy to clean without missing anywhere, and helping it stay clean longer. You'd like to take your own drinks with you wherever you go? You are looking for a flask that is really convenient to use and also hygienic?